Otto started to use Firefox in 2004 when it was still in version 0.9. He joined SpreadFirefox in early 2005 and later spearheaded several key SFx projects, including Community @ SFx, which is now one of the groups recommended to all new members. A graduate from the Delft University of Technology, in the Netherlands, he worked on Internet related projects from the very beginning of the world wide web. His love for open source software and open formats dates from his student days when he noticed the general superiority and advantages of open source products like the GNU C compiler that his university used. His positive experience with open source only continued to grow from there and in late 2005 he switched his operating system to Fedora (a Linux distribution) and never looked back. But he's not only a user of open source software, most of the software he writes, such as the website traffic analysis package StatEye, is also available under open source licenses. He believes Firefox is currently the best ambassador for open source as well as being the most important agent in keeping the web open and free. During his efforts to spread Firefox he, amongst other things, built a checkers game based on the browser war, got himself a Firefox Bankcard which became a number one story on Digg, sponsored the first Firefox Ad to appear on TV, led an add-ons promotion contest, and built several tools based on the download counter, such as the Download Counter microblogs on Twitter, Identi.ca and Mozillaca, which got mentioned in the Washington Post and some other media outlets when Firefox hit the 1 billion downloads milestone. He also maintains Foxysearch.org a Google custom search engine for searching Mozilla and Firefox sites, provides hosting and system administration for AccessFirefox.org, volunteers as an admin on SpreadThunderbird, and is involved in the Mozilla Community mircroblogging service Mozillaca. You can read all about these and his many other Firefox projects on his Firefox site. Growing up he lived in several different countries, which fostered a desire to explore and experience the world. Culminating in a world trip of nearly 3 years, during which he visited 54 different countries. After his travels he settled in his new adoptive country Estonia. He is fluent in English, French and Dutch, and speaks some German, Spanish and Estonian. 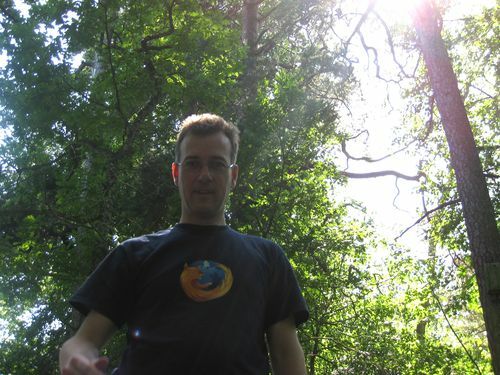 You can read about all of Otto's projects on his site and follow him on Twitter, Identi.ca and Mozillaca.